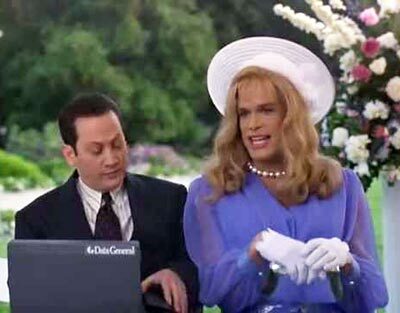 Diedrich Bader femulates in the 1993 film The Beverly Hillbillies. Good caption Stana. Very nice dress, Boston Propper. Beverly Hillbillies, one of my favorites from television & movies. Loved the TV show, never saw the film.